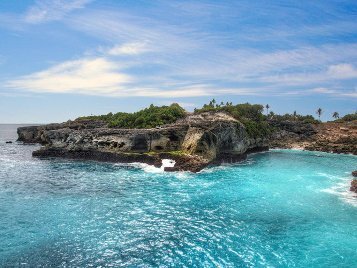 The Mola Mola can be found around the islands of Nusa Penida, Nusa Lembongan and Nusa Ceningan. 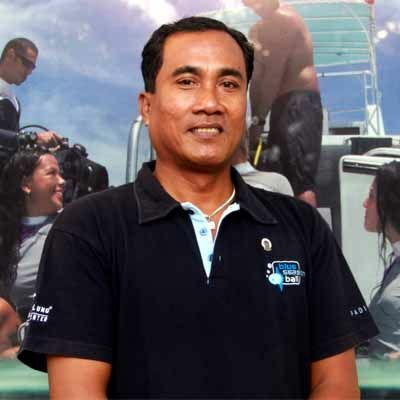 We are an award winning five star PADI Career Development Center (CDC) committed to showing you the best Bali Sunfish diving destinations in Bali, Indonesia. Ready to go scuba diving?. 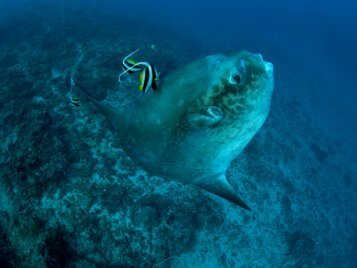 The best way to see the majestic Bali Sunfish (Mola Mola) is to join one of our daily trips to Nusa Penida, Nusa Lembongan and Nusa Ceningan – the Bali Sunfish can be found at Crystal Bay, SD, Toyapakeh and a host of other dive sites around the islands. We can also create custom Bali Sunfish Diving Safaris for you – which include all of your Bali accommodation, airport pick ups and of course – plenty of Bali Sunfish Diving! 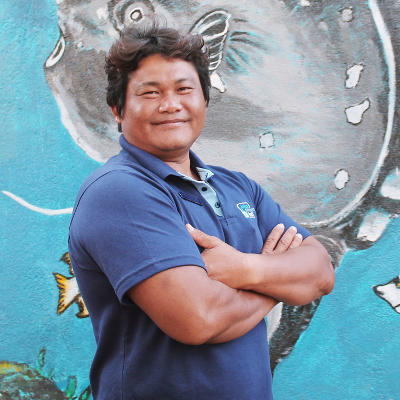 Learn all about the Mola Mola (Bali Sunfish). These majestic creatures are the heaviest boney fish in the world. We also discuss their behaviour, ecology and range. The best place to see the Mola Mola (Bali Sunfish) is at the dive sites surrounding Nusa Penida. 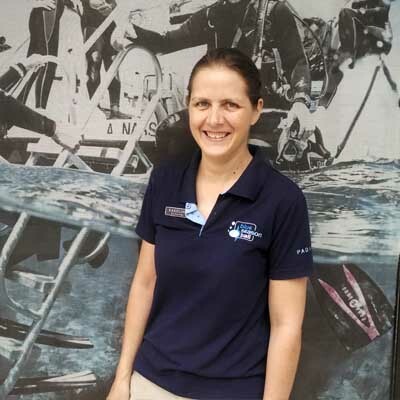 Our professional PADI dive guides have thousands of dives in the area – they can guide you to the safest dive sites to spot the Bali Sunfish – while still looking after your safety and enjoyment. Our Bali Sunfish diving packages offer a superb opportunity to dive Bali to see the wonderful Bali Sunfish and Manta Rays whilst staying in the comfort of some of Bali’s superb hotels and Resorts. 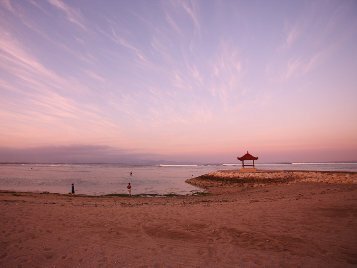 These Bali dive safaris are designed to give you the most memorable experience with the highest levels of customer service from our experienced dive team. During the Bali Sunfish season, we run daily trips to Nusa Penida to hunt for Mola Mola. Our high speed dive vessels visit the best Bali dive sites in order to maximise the chance of diving with the Sunfish in Bali. Have a look at the different dive sites around Nusa Penida where the Mola Mola can be found. 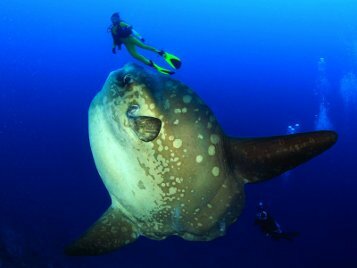 The best time of year for Bali Sunfish diving is July – September. During these months, the water temperature around the islands of Nusa Penida, Nusa Lembongan and Nusa Ceningan drop – creating the perfect environment for the Mola Mola (Bali Sunfish) to come up to shallower waters to be cleaned by reef fish– allowing divers to view these majestic animals. 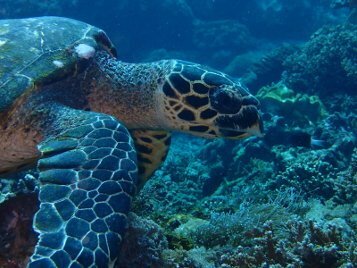 Have a look at our current special offers for Bali Sunfish diving 2018 season! Our experienced guides have thousands of dives around the Nusa Penida area - we know where to find the Bali Sunfish and how to keep you safe. 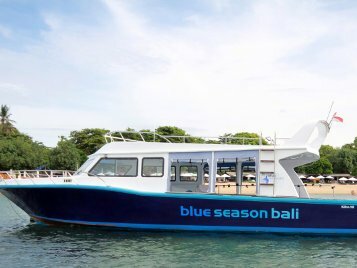 Blue Season Bali has a 100% safety record with over 16 years in operation in Bali. Here at Blue Season Bali we speak at least eight different languages, meaning that most of the time, there is somebody in our team who speaks your language! 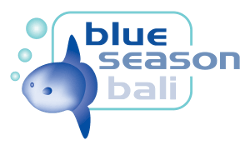 Blue Season Bali is a PADI Career Development Center (CDC) which has been operating in Bali since 2001. We are British & Japanese owned, and pride ourselves in offering the highest level in Scuba diving services around Bali and the Indonesian archipelago. 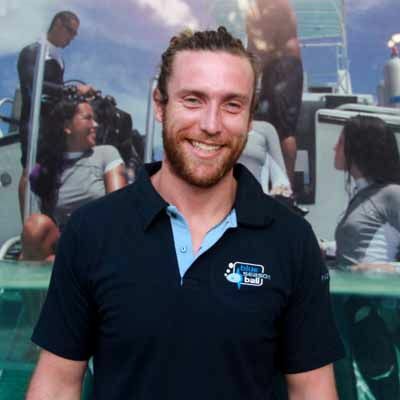 Meet our professional team of experienced PADI Divemasters and Instructors. Our team collectively have thousands of dives around the island of Bali - this makes them the perfect guides to ensure your success in seeing the Bali Sunfish! Really superb service from Blue Season crew! Even off season on Mola, I saw a baby Mola and giant Mantas ! We knew there is no guarantee to see the Mola in Nusa Penida, but we did. Best diving experience so far. Massive Mantas, Rays and Turtles too! Thanks Blue Season Bali for so many great dive adventures during the last month, and especially for showing me the Mola Mola! I've been diving with Blue Season for three years now. They provide the best all-inclusive and professional service possible with a fantastic and very well trained crew. I hope I will be able to come back next year and to dive with Blue Season Bali again. We run daily trips to Nusa Penida – spaces are often limited so please do get in touch with us to book your spot today!